Officer Brinna Caruso has built a reputation as the cop to call when a child goes missing. For Brinna, it’s personal because she was once one of them. Brinna and K-9 Search and Rescue dog, Hero, will stop at nothing to find a missing child, no matter the stakes. But when circumstances require she give up Hero for a time and take on a two legged partner, Brinna’s balance and mission at work is stymied. Detective Jack O’Reilly isn’t ready to return to his homicide duties after losing his wife to a drunk driver. He’s on the downside of his career and bent on revenge, when he’s assigned as Brinna’s partner. While on patrol, Jack struggles between his quest for personal justice and his responsibilities to those around him, especially his partner. Skeptical of Jack’s motives and leery of his abilities, Brinna isn’t sure she can rely on her new partner, whose recklessness endangers the safety of those around him. But when a man surfaces with an MO similar to the criminal who abducted Brinna twenty years earlier, Brinna and Jack must cast aside previous judgments and combine efforts to catch the kidnapper, and finally allow Brinna the peace stolen from her as a child. Brinna Caruso is a cop, and a good one. She’s known as the Kid Crusader for her relentless pursuit and determination when kids go missing. But she’s been living in the shadow of her tragic kidnapping as a child. When old monsters reappear, Brinna struggles to put her past behind her with the help of new partner Jack O’Reilly. If I had only one word to describe Critical Pursuit, it would be explosive. The story was suspenseful, fast-paced, and kept me on my toes. I finished this book in 3 hours; I just needed to know what was going to happen. Brinna and Jack were raw. They both had been through so much, but emerged stronger. The author Janice Cantore is a veteran police officer, and you can tell! The problem was that I never really connected with the characters (hence the 3 stars), but I’m sure that it will all come together in the next of the series, Visible Threat. I feel like I’ve read countless cop books where the main character doesn’t accept God because they don’t understand why He allows evil to happen. And while that was exactly what Brinna was struggling with, what I appreciated about this book was that it went a little deeper. I also liked the dual perspectives between Brinna and Jack. I am really hoping for a little romance between them in #2! 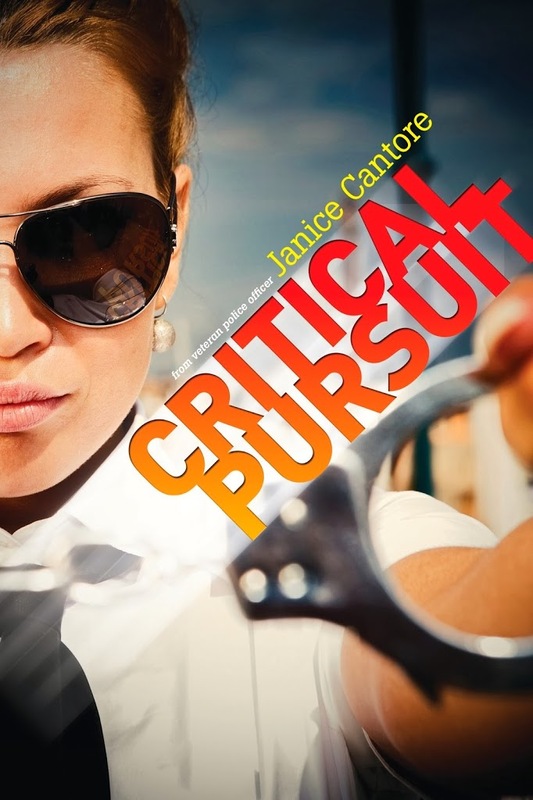 I would totally recommend Critical Pursuit to anyone looking for a raw, suspenseful, and inspirational read! I am probably going to start reading Visible Threat pretty soon…well…maybe right now!